Gayle and JoAnn before skydiving to celebrate Gayle's big birthday. 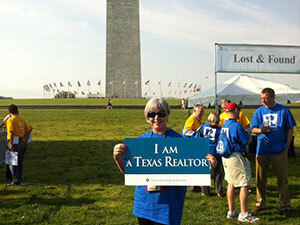 Gayle at the 2012 Washington D.C. REALTOR® Rally. 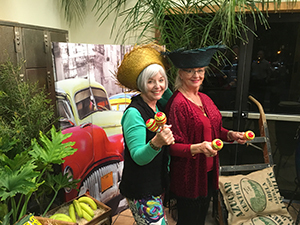 Gayle and Alta help our Board host the 2011 Texas Association of REALTORS® Region 11 Conference by scheduling the Dolphin Cruise/Dinner the night before. 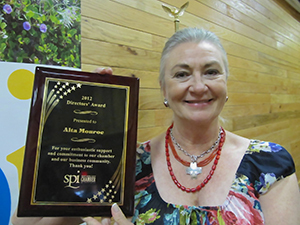 Gayle is sworn in as 2015 President of the South Padre Island Board of REALTORS® by Senator Eddie Lucio, Jr. and accepts the prestigious engraved gavel he presented to the board from Austin. 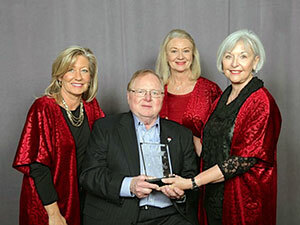 Dave Liniger, founder and CEO of RE/MAX International, present awards to Alta & Gayle for the 100% Club. The team with Dave Liniger, founder and CEO of RE/MAX LLC, at the RE/MAX R4 Convention in March 2015. 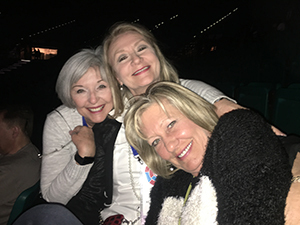 JoAnn, Gayle and Alta love Christmas time. Gayle with Congressman Ron Paul in Washington D.C. at the 2010 NAR Mid-Year Conference Hill Visit. 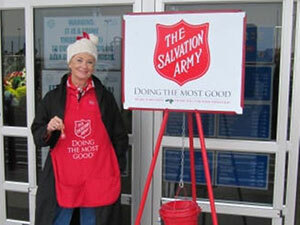 Alta ringing the bell for Salvation Army. Alta with Congressman Ron Paul in Washington D.C. at the 2009 NAR Mid-Year Conference Hill Visit. 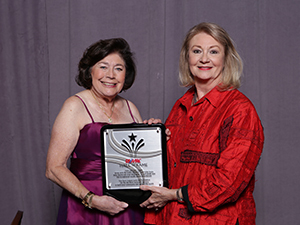 Gayle & Alta receive trophies for RE/MAX 100% Club. So far, they have been in the 100% Club for 2012, 2013, and 2014.